“Don’t fail him. 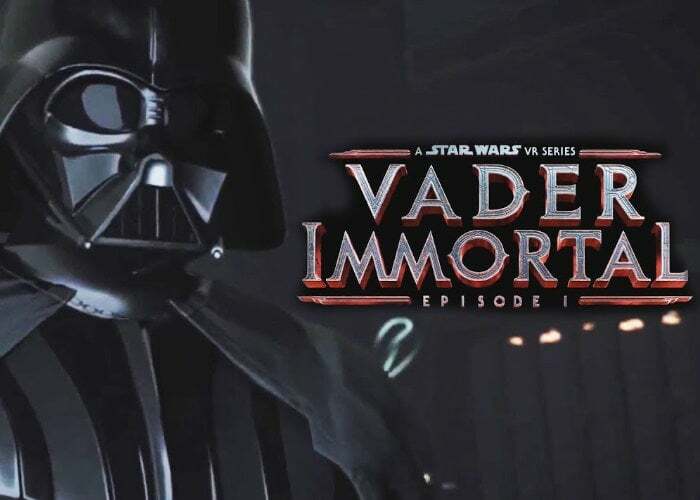 Vader Immortal: A Star Wars VR Series – Episode I by ILMxLAB launches on Oculus Quest in 2019. Read full details on ILMxLAB.com. ILMxLAB develops and publishes premium, story-based immersive entertainment experiences for the home, theatre and public venues. Based in San Francisco, ILMxLAB is known for CARNE y ARENA, the Oscar-winning VR installation directed by Alejandro G. Iñárritu, and the critically-acclaimed hyper reality experience Star Wars: Secrets of the Empire. expect more details to be showcased during the annual Star Wars Celebration this year taking between April 11-15th 2019 in Chicago, US.